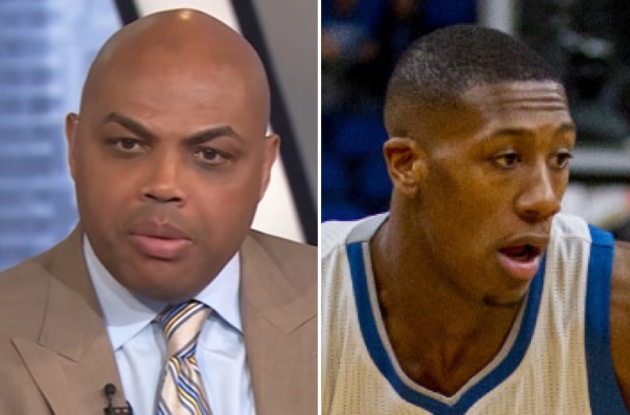 The Timberwolves need to make a change at the point guard position and speed up the game, Charles Barkley expressed late Thursday night on TNT’s Inside the NBA. The Wolves led Toronto by a point at the end of the third quarter and lost by double figures, 124-110, in the first game of the network’s doubleheader. The blown lead marked the 10th time this season the Wolves have lost when leading after the first quarter or at halftime. Kenny Smith also wants to see the Wolves play faster and as a result produce more possessions and scoring opportunities. The Wolves’ 104.4 points per game average ranks 15th in the league and 2,296 total points are 19th. They share the third-worst record in the NBA at 6-16. Shaquille O’Neal asked if Barkley’s adjustment meant moving Ricky Rubio into an off-the-bench role. Rubio played 29 minutes and was 2-of-7 shooting for seven points with three assists and three rebounds. Dunn played 19 minutes off the bench, scored four points on 2-of-5 shooting, and had five assists. Barkley also called for Towns to get more touches. Towns had just four field-goal attempts and two points in the first half.